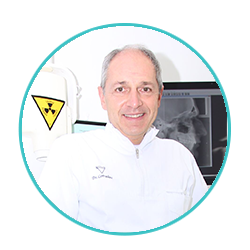 Degree in Dentistry and Dental Prosthesis at the University of Milan and fellowship abroad at Leuven University (Belgium) , Highly qualified dental technologist and owner of a prosthetic laboratory since 1985. Has taught Prosthodontics to Higher Education courses in Dentistry at the S. Clare Clinic in Rozzano (MI). Has given numerous training courses in fixed prosthesis, Orthodontics, Implant Prosthodontics at private and public institutes, refresher training courses at ANDI, AIO and at the Board of Dentistry Professors. Member of the Italian Academy of Prosthetic Dentistry. Author of several articles and academic papers published in specialised magazines.